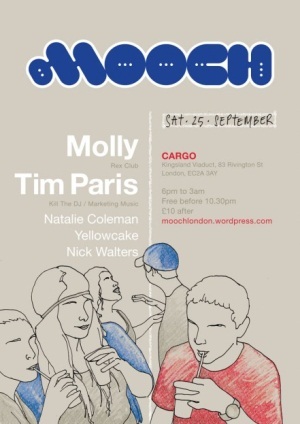 Tim Paris session at Mooch at London Cargo had been posted on audioFAMILIES website. Check it out ! This entry was posted on October 4, 2010 at 14:00 and is filed under News. You can follow any responses to this entry through the RSS 2.0 feed.